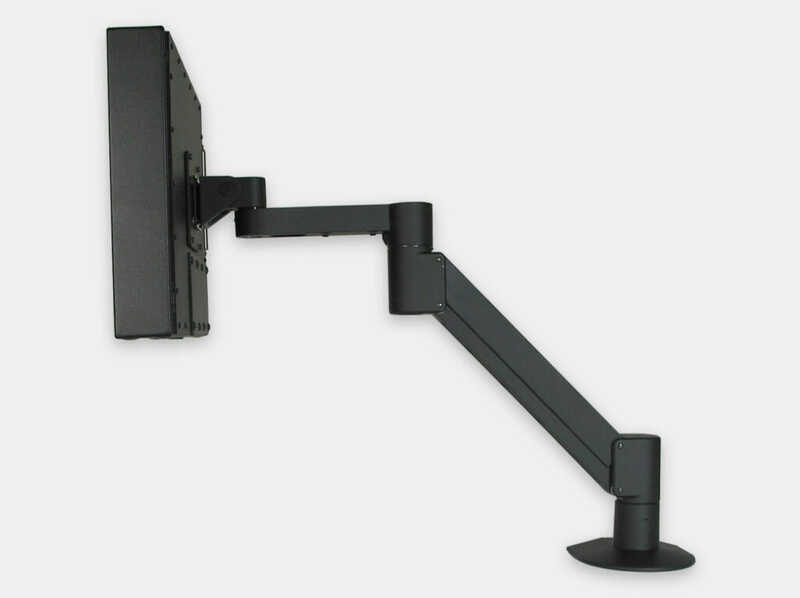 Hope VESA Industrial Monitor Radial Arm Mounts are designed to position a Universal Mount Display or other monitor above the working area. 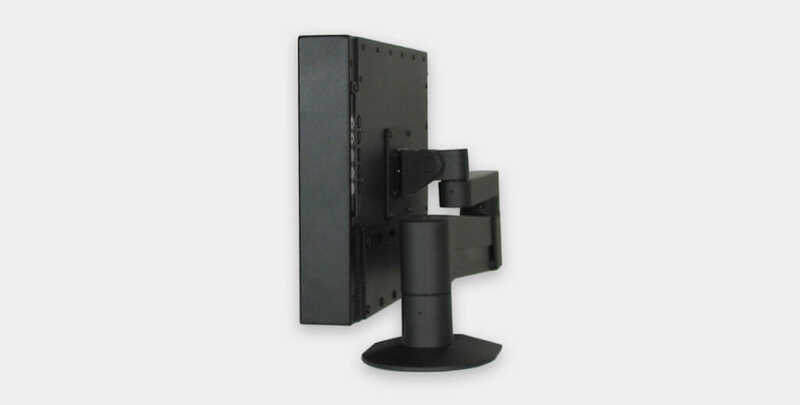 With this mount, the monitor becomes weightless and can be positioned easily without turning knobs or screws once properly adjusted. 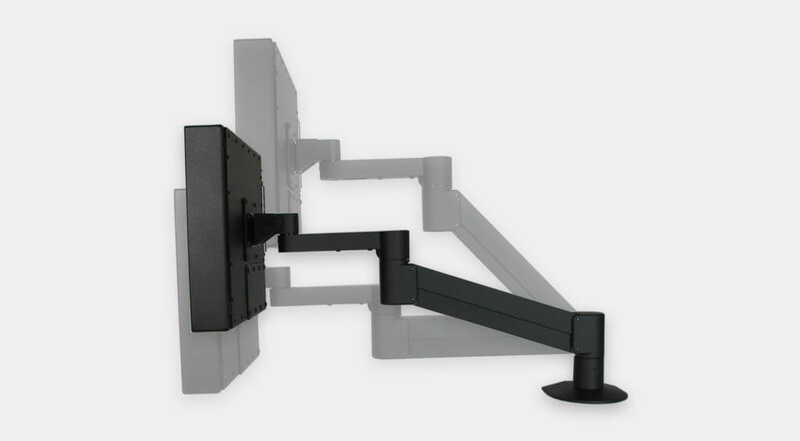 Integrated cable management keeps power and signal cables clear of the work area. 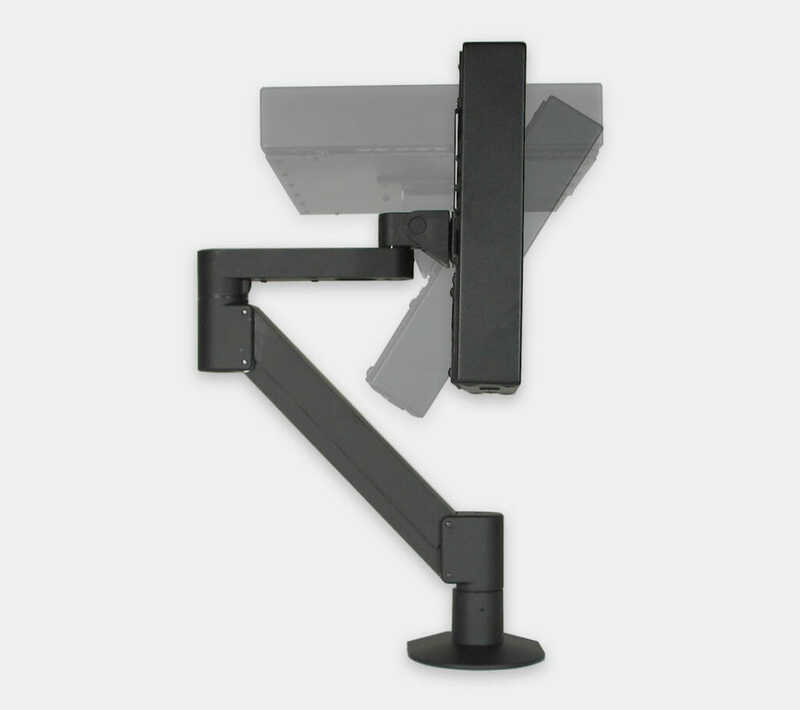 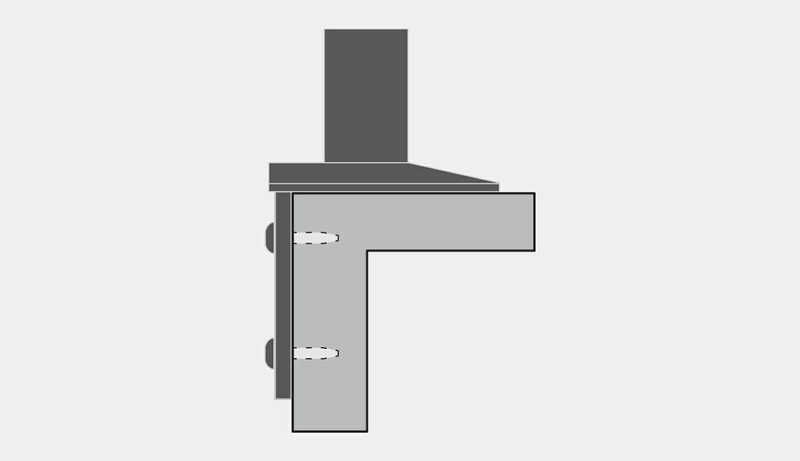 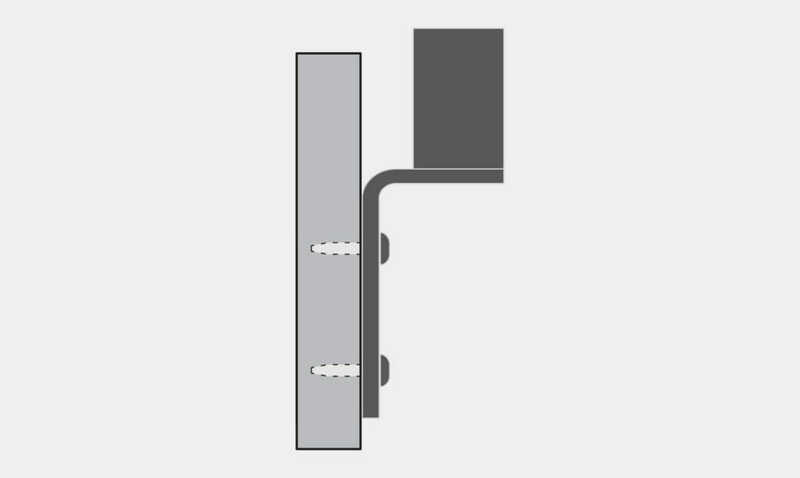 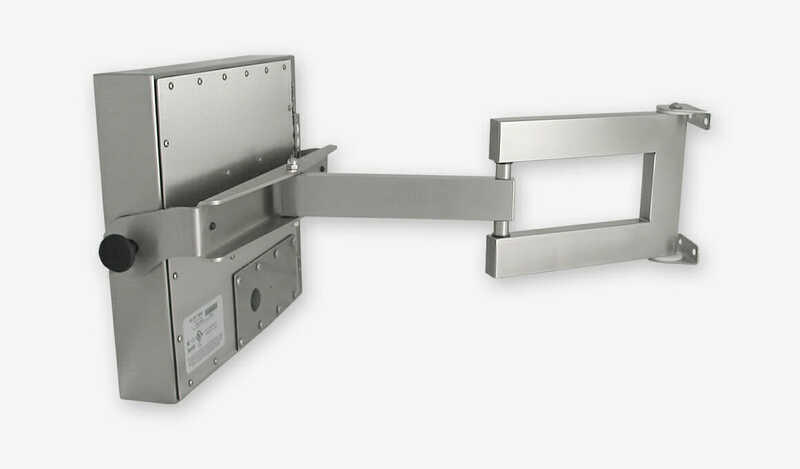 The included mounting kit allows the arm base to be mounted 6 different ways for attachment to any vertical or horizontal surface. 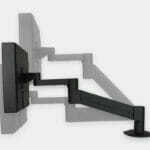 Supports display weights between 6 kg and 18 kg. 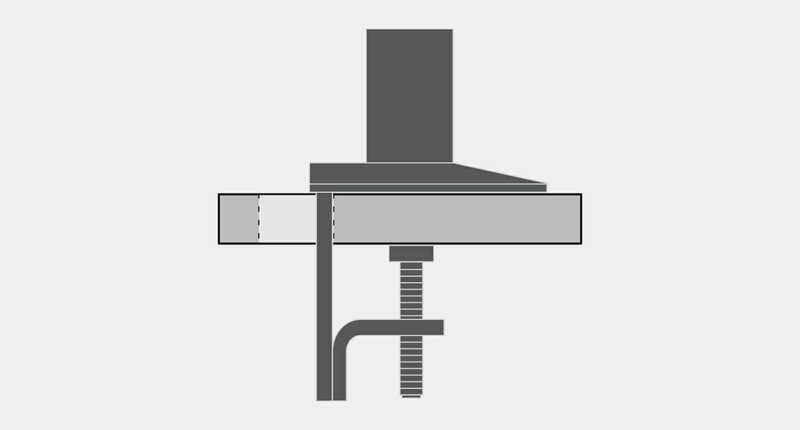 Weight Range – 6.1 kg – 18.14 kg at a maximum of 76.2 mm from the end of the arm. 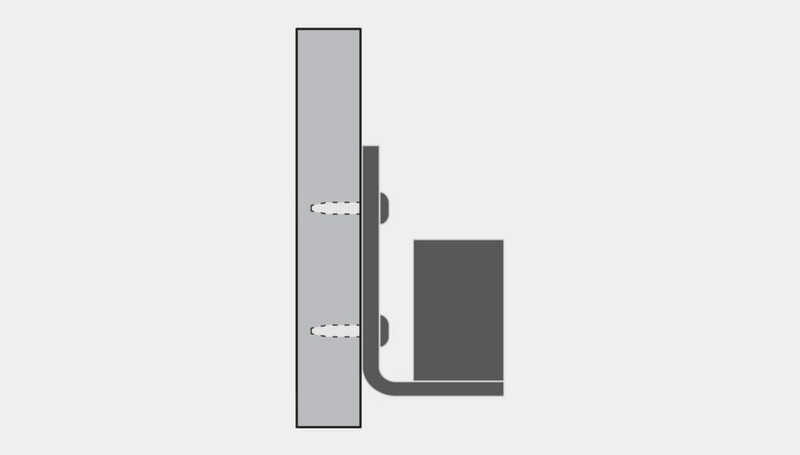 Weight capacity will vary with distance; please call us if your application exceeds 76.2 mm. 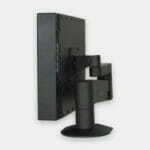 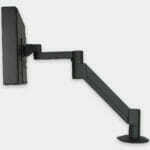 Hope Display Compatibility – supports all Hope Universal Mount Monitors without an attached keyboard. 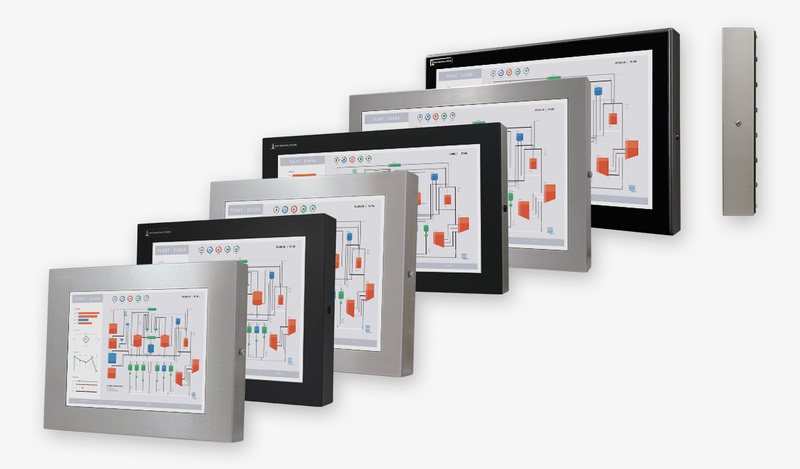 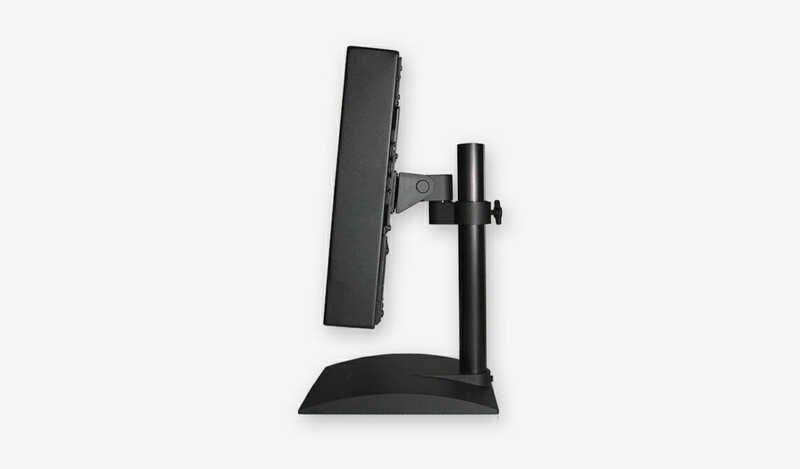 15″ and 17″ Universal Mount Monitors may also be used with a Monitor-Mounted Keyboard. 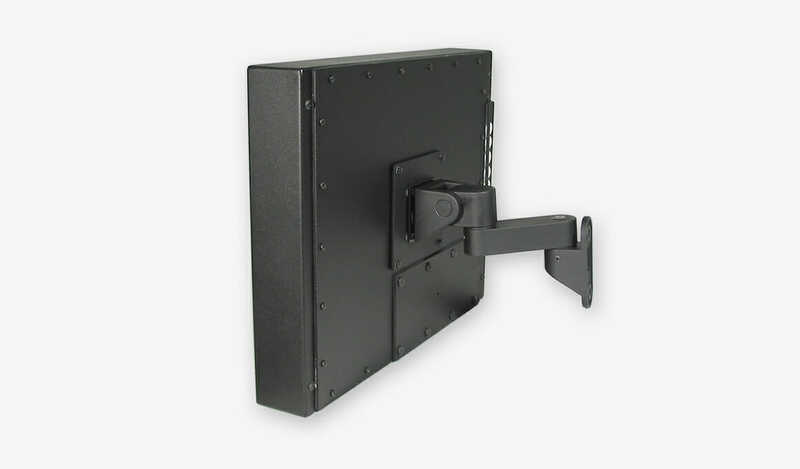 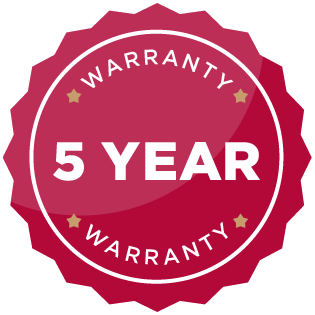 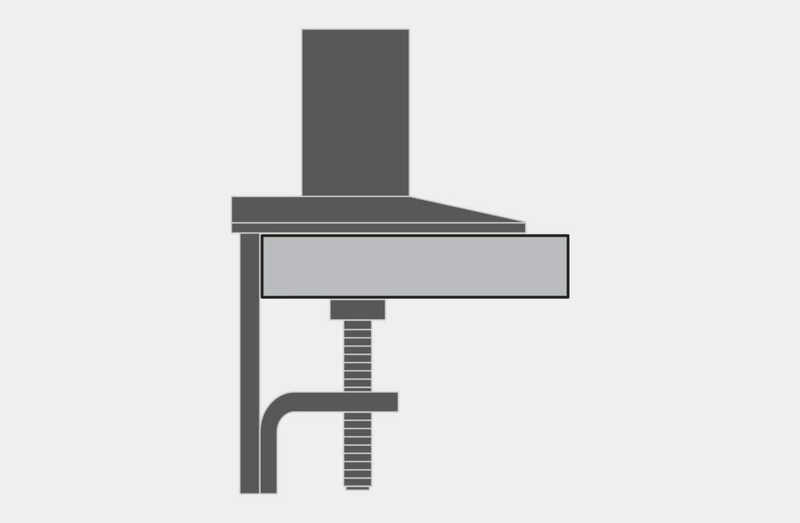 Includes flexible mounting kit providing 6 different mounting options: bench clamp, through-bench, wall mount, reverse wall mount, side mount, grommet mount.